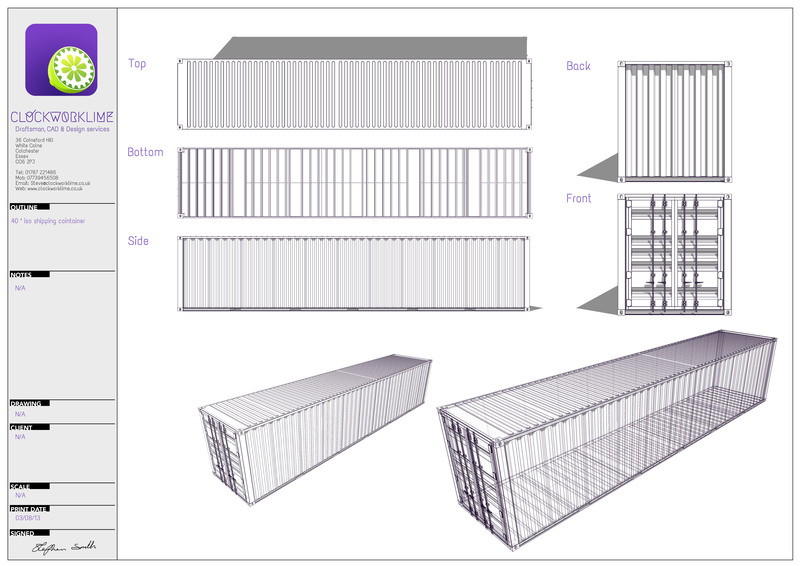 For quite sometime iv been interested in the concept of reusing shipping containers as a construction material. Now im not going to try and claim any originality as there has been a lot of development over the years, but still, i’m going to have a little explore. 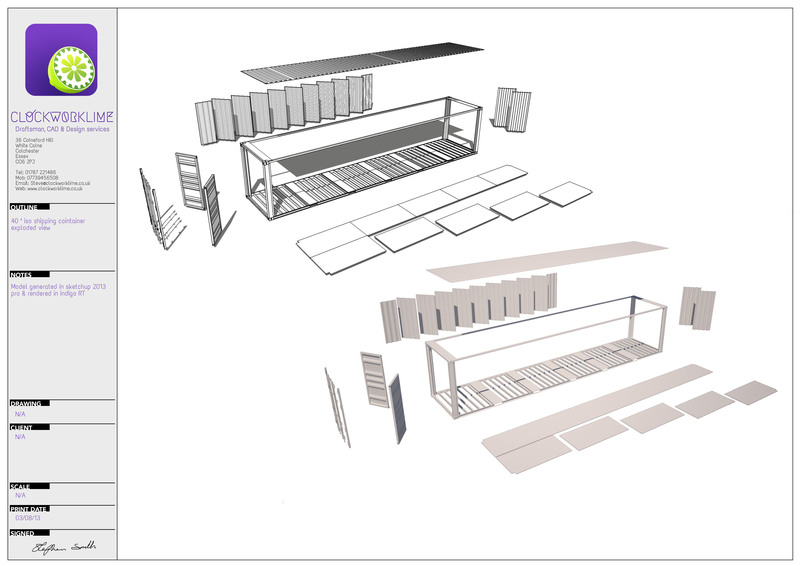 My main inspiration for starting this little side project is the ‘pop up mall’ BOXPARK in Shoreditch, it a great use of containers and space, generating a completely original concept. Haver a google, theres some great images and info out there all about it. Well to start with I’ve spent quite a bit of time not only looking through existing projects and development. but also getting to the basics of it all by sitting down and researching as much information about the construction.manufacture and use of shipping containers. Now, don’t get me wrong, this wasn’t fun, it was extremely dry, but i didn’t want to jump in and start cutting up containers (virtually) without understanding their construction and the possible consequences. Once i felt that i had a reasonable understanding i decided to get started and find an accurate model of a iso shipping container, but surprise surprise, non were really up to the standard i was looking for. 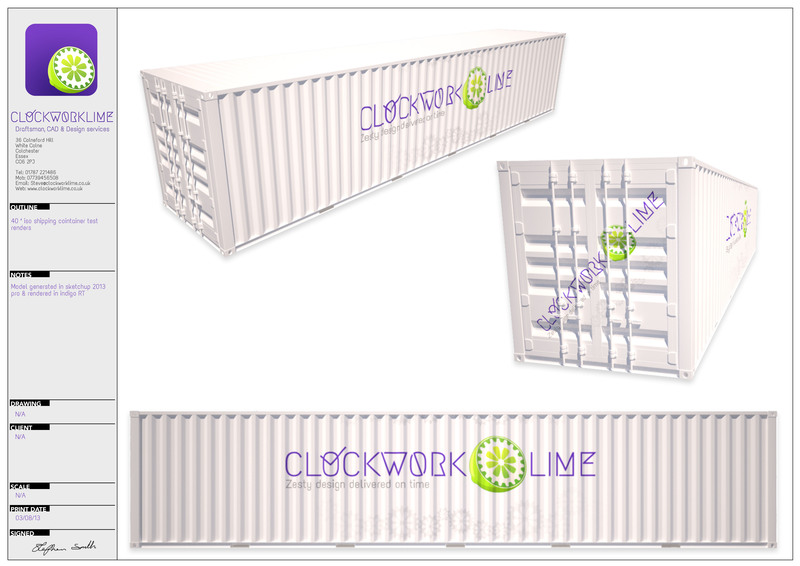 So i set about finding the construction/manufacturing details for a standardised container. Now on to the fun part, actually creating something with it.